Hungry for a little attention? 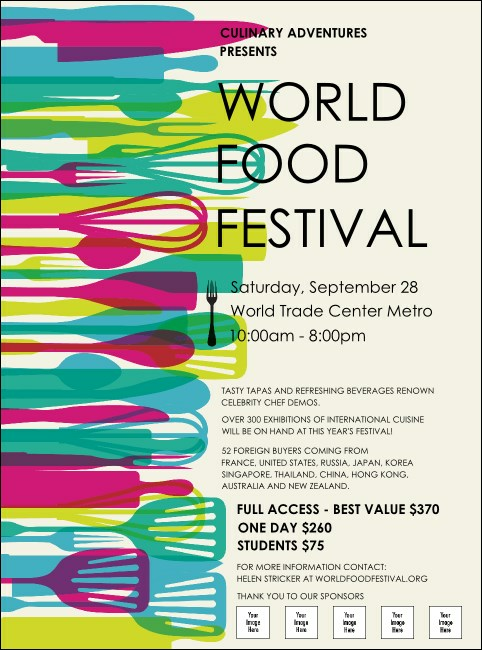 Add a little color to your upcoming promotions with the brightly patterned World Food Festival Flyer. Forks, knives, spoons, spatulas, and wire whisks in blending, overlapping colors start the excitement simmering so you can work up to a rolling boil by the day of your event.